The National Assembly Committees on Independent National Electoral Commission (INEC) yesterday began consideration of the electoral body’s budget for the 2019 general election, promising to conclude their report by Friday for the consideration of the leadership of the federal legislature. Both committees of the Senate committee and the House of Representatives met separately with the management of the electoral body led by its National Chairman, Prof. Mahmoud Yakubu, and queried the discrepancies between the figures presented by President Muhammadu Buhari and those of INEC. While President Buhari had in a letter to the National Assembly on July 17 asked the legislature to approve the virement of N143 billion for the immediate need of INEC while another N46 billion would be provided for in the 2019 budget proposals, the INEC Chairman, Prof Mahmud Yakubu, wednesday requested for the approval of N189.207 billion being the total budget for the 2019 polls. The INEC also voted N31.49 billion for the printing of ballot papers and N6 billion for the feeding of policemen during next year’s general elections. The INEC chairman, who appeared before the Senate Committee on INEC headed by Senator Suleiman Nazif (Bauchi North) in an answer to an observation on the disparity in the amount needed for the elections by Senator Mohammed Hassan (Yobe South), emphasised that N189.207 billion was the amount National Assembly should approve for INEC this year for the 2019 polls. Senators Sola Adeyeye (Osun Central) and Atai Aidoko (Kogi East) also spoke in the same vein and wondered why the proposal of President Buhari on the funding of 2019 elections is at variance with that of INEC. At this point, the committee chairman intervened and said there was the need to harmonise the position of the president with that of INEC. Senator Nazif, therefore, announced that both INEC team and the Senate committee would meet today and harmonise their positions and come up with a clear amount to be approved by National Assembly for the general election. He added that his committee would sit till Friday to conclude its report on the INEC budget proposal for presentation to National Assembly leadership. Earlier, while summarising a 25-page 2019 general election budget of INEC, Yakubu gave a breakdown of the expenditure to include N134.427 billion for election operation cost; N27.503 billion for election technology cost; N22.660 billion for election administrative cost while N4.614 billion, which is a quarter of the total cost of the election was voted for miscellaneous expenses. Further breakdown include N28.549 billion as honoraria for one million Ad-hoc staff; N4.689 billion for feeding of security and election personnel; N5.124 billion for nationwide continuous voter registration exercise; N6.125 billion for procurement of non sensitive materials and N4.361 billion for the printing of result sheets. Earlier yesterday, the House of Representatives Committee on Electoral Matters had identified cracks in the election budget. The committee had met with the management of the commission, led by Mahmud to consider its proposed expenditure for next year’s elections. The committee, chaired by Hon. Aisha Dukku, particularly queried the duplication of line items in its proposals as well as several other oversights in the document. Mahmoud had told the committee that the N189,207,544,893.13 billion- estimate was to cover voters registration, election production cost, administrative cost, printing of electoral materials, security, logistics and payment of staff salaries and those of other ad-hoc staff for the election. He said there are presently 91 registered political parties which would be participating in the general elections including 21,000000 registered voters. 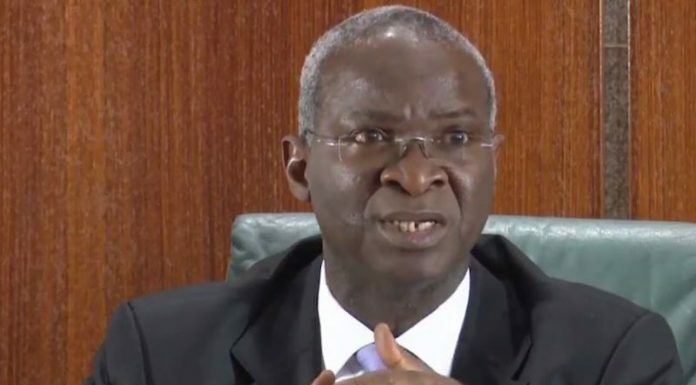 He ruled out any possibility of postponement of the 2019 polls, insisting that the date remained February 16, 2019 for the presidential, national and state assemblies, gubernatorial, local government elections and FCT municipal area council elections.But the committee chairman had during her opening remarks maintained that the foundation of a government that promises change to its people ought to be evident in the way it plans elections and electoral processes. Dukku noted that the budget ought to reflect the Fiscal Responsibility Act 2007, stressing that the Buhari-led administration’s proclamation of zero tolerance for corruption and breach of due process ought to be taken seriously in all ramifications. She argued that the previous INEC budgets had not been productive owing to lack of effective planning. 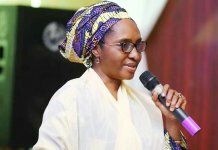 She queried the duplication of the provision for permanent voters card in the document in both the 2018 and 2019 budgets of the commission. Nonetheless, the committee members took turns to criticise the document its presentation, citing duplication of some of the line items in the 25-page document. However, the erstwhile chairman of the House Committee on Appropriation Hon. Abdulmumin Jibrin, urged his colleagues to give expeditious passage to the budget even though other lawmakers insisted on a thorough scrutiny of the budget before approval. A member of the Committee, Hon.Timothy Golu (PDP, Plateau) said there’s duplication of line items10 and 11 on the budget document .Hon Rimande Shawulu also pointed out repetition on items 57, 58 and 58 and expressed concerns over the N6 billion budgeted for feeding of security agents on election duties. Hon. Ezenwa Onyewuchi (PDP, Imo), Hon. Gaza Jonathan Gwefi (PDP, Nasarawa) and Hon. Diri Douye (PDP, Bayelsa) all raised issues with the document. They argued that INEC should have presented a better budget estimate for the conduct of the general elections. Onyewuchi, particularly queried the late submission of the budget while Gbwefi said the commission planned to expend so much on election observations by international observers. Shawulu said: “When policemen are sent out on assignments such as elections, they are paid. There is a budget for them and we still have N6bn here. Also, the 2019 elections budget rose by N69 billion above the N120 billion spent on the 2015 polls. Responding, Mahmoud said INEC had so far registered 12.1million new voters, in addition to the existing 70 million, bringing the total voter population to plan for in 2019 to 82.1 million. He said the commission would have to make a provision for 91 political parties in 2019 with a longer ballot paper. According to him:”We have to monitor the activities of all these political parties like primaries, congresses and conventions. “We have to process forms for all of their candidates. “What this means is that, if all the 91 parties will present candidates for all the categories of elections, INEC will have to produce 141,778 nomination forms. On the N6 billion provided for police feeding, Mahmoud said it was an initiative by INEC to adequately cater for policemen and other security personnel because of the long hours they stood watching to ensure that nothing went wrong. He said: “These policemen suffer a lot too and we just have to be human. If our own members of staff are eating food, it doesn’t look nice to ignore the people providing security for them. He disagreed that there were duplications of the 2018 INEC budget, stressing that the commission had earlier informed the National Assembly that the 2019 elections budget would be separate from its regular budget. He maintained that INEC must still function as an agency and perform other routine duties like conducting new elections, by-elections and pay staff salaries, which were the purpose for the 2018 budget. He said INEC conducted 10 elections, including the Ekiti State governorship poll, the two senatorial elections and two state assembly polls concluded last Saturday. The INEC Chairman further said that due to the over 1,200 legal cases brought against INEC, the commission is voting N1.796 billion as professional fees and expenses for external solicitors.